Hi! 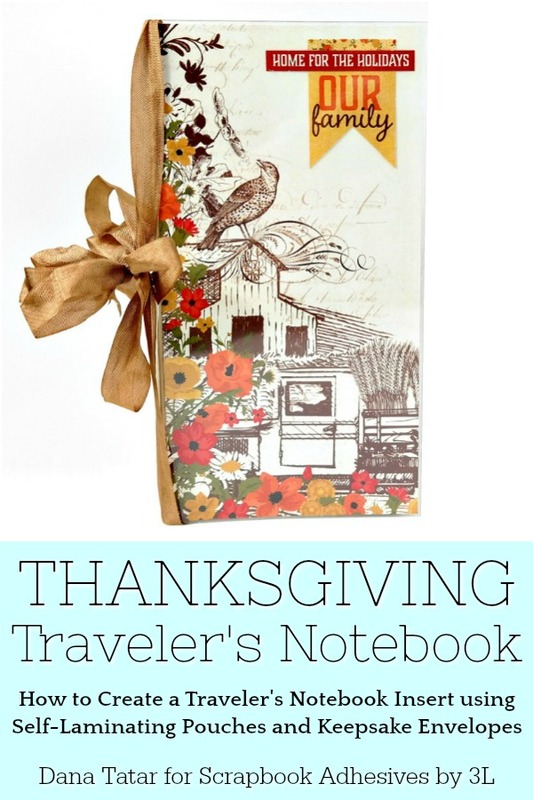 I'm sharing my tutorial for this Thanksgiving Traveler's Notebook on the Scrapbook Adhesives by 3L blog today. I usually create a December Daily album to document the excitement of the Christmas season. I have never created anything special to store my memories from the Thanksgiving holiday. This will be my first Thanksgiving in my new home and my brother and his family are coming to stay with us. I am grateful for so many things and can't wait to fill this notebook with memories. I used Self-Laminating Pouches for the front and back covers of this notebook to add strength and durability. This is my favorite way to laminate! There is no need for an expensive machine. This peel-and-stick cold laminating process is super easy. I also added some clear pocket pages to the album using Keepsake Envelopes to help hold photos and memorabilia. A big thanks to Authentique for supplying the amazing Pleasant collection. It was perfect for this project! 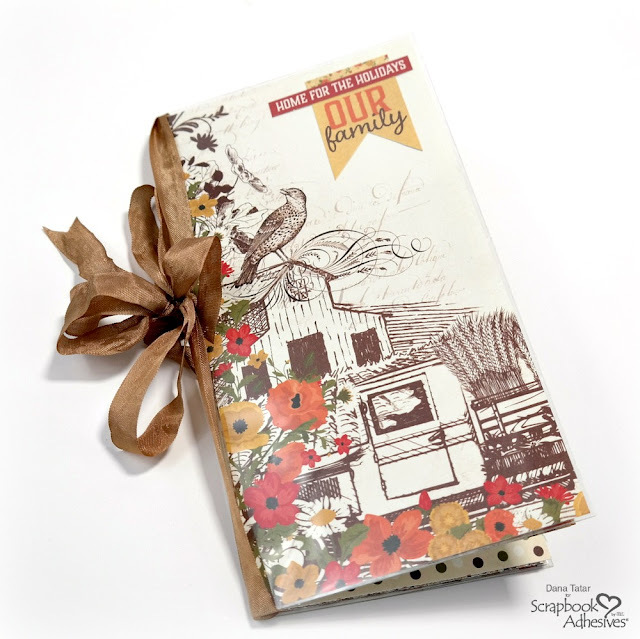 I plan on sharing the complete notebook on December 1st, so be sure to stop by then! This is amazing! off to see more!